Experienced House-sitting couple. Animal loving. Non-smoking. No dependents. 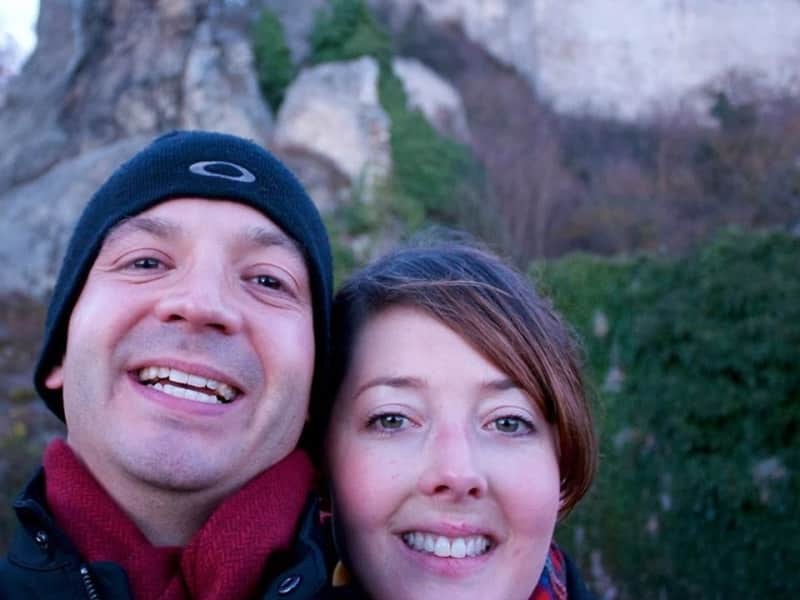 We’re Nicholas (38) and Jillian (37), and we have been providing security and peace-of-mind for a number of home and pet owners across various parts of Canada, China and the United Kingdom while living overseas over the last ten years. We have recently returned home to Canada and currently reside in Edmonton, Canada, where I (Nicholas) am an English and Physical Education teacher, and Jillian is on faculty at a Canadian university. She also teaches music (she's sung with Andrea Bocelli!) and is an award-winning writer who recently finished her Master's in Creative Writing. Our professions as educators have provided us with the opportunity to travel to different parts of the world quite regularly over the past decade, and we are always amazed by all the new and amazing things to experience and see. We are a quiet, respectful married couple, are both non-smokers, and while we have no pets of our own, we love pets of all kinds and have extensive pet experience, having both grown up with animals, and having had our own dog as a couple as well prior to moving overseas. We enjoy the company of dogs immensely, and look forward to further housesitting opportunities of various kinds (in the past, we have cared for everything from hobby farms with horses to cozy apartments with cats, dogs, and even turtles!). 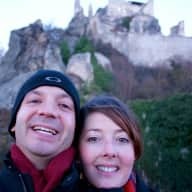 As a couple who have lived and worked full-time overseas, we are enthusiastic travelers, and really enjoy having the freedom to house sit. This enables us to see new parts of the world and to get a first-hand look at areas we might not normally have the opportunity to see, but also have the comforts of "home" that we don't always have in our work locales. We also love to house-sit because we want to make sure that while you are away, your pets are in an environment that they are familiar with, and that you are able to have peace-of-mind knowing they are well cared for. We would make sure your house and belongings are safe and well taken care of while you are away, since we would hope for nothing less ourselves in the same situation. Most of all, as animal lovers, one thing we regularly miss while we are travelling and living overseas is the companionship animals bring. We miss walks, playing and cuddling, and guarantee to provide the same love and affection for your animals as you would yourself! We have had diverse and successful experiences caring for homes and animals, partly due to our high standards as professionals. Our experiences consist of house-sitting for friends, family, and acquaintances through Trusted Housesitters in various countries. We are highly confident in our ability to meet standards of cleanliness, respect, and tidiness. We are also used to having positions of responsibility, caring for others and others’ property (teaching and caring for children, use of school property and equipment, field trips and use of other facilities). 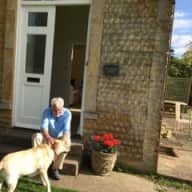 In our most recent experiences house-sitting in the UK, we took care of elderly and anxious dogs with higher needs, other livestock and pets such as chickens (including feeding and letting in and out of coop) and a turtle, as well as a puppy whom we continued to train while the owners were away. In the past, we have also taken care of cats, fish, and horses (Jillian has equestrian experience). In all cases, we took great care in meeting the needs of all animals as set by the owners (eg. feeding, walking, replenishing food stock, grooming, etc.). We care for both pets and the property itself, and can think on the spot to troubleshoot when any problems arise (like when something is leaking, or the septic alarm sounds!). We also understand what it means to be not just a temporary care-giver but someone who welcomes an animal into a family. We treat all animals with love and respect as we have always treated our own, and go above and beyond to keep your home safe and secure and animals both healthy and happy for your return. Whether it means taking a dog for a long off-leash walk, or playing ball, or doing agility, or simply watering the plants, we go the extra mile and love doing it. Fabulous experience and will definately do this again. 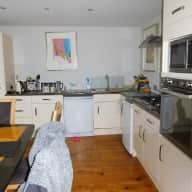 Jillian and Nicholas were exemplary house/dog sitters who looked after Jura superbly - clearly she was very happy and enjoyed her time with them. They cared for the house ..and the plants...exactly as we would have wished. They are a delightful couple, a pleasure to meet, they also made an excellent impression on our neighbours . They were very organised in setting up the housesit and arrived early to find out all about Jura's needs. 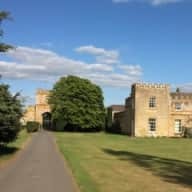 We would have no hesitation in recommending them to anyone and would be delighted if they were able to stay here at some time in the future. Nicholas & Jillian came for a long weekend, we wanted to try this system out before committing to longer dates away! Have to say they were brilliant in every way! They looked after Molly & Sky, kept us informed, looked after the house so we had nothing to do on our return. We would not hesitate to use them again or recommend them to others! I've known Nick for just over two years now. I was his supervisor. Nick is a very polite and friendly guy. I can't think of anyone who knows him to be able to say anything bad about him. He's one of those people in life who you feel lucky to have met. Truly one of the good guys. I should also mention how super organised he is. Nick had the neatest desk in the office. He always stayed on top of planning, and is a master list maker (something I used to tease him about when I first saw him doing it, but now practice myself). I'm sure anyone who has the privilege of having Nick house sit for them will not regret it. I have no doubt that he'll take good care of their place and their pet(s). Jill and Nick are a kind, down-to-earth professional couple who demonstrate commitment and care in everything that they do. Highly trustworthy and come with my sincerest recommendation. I am writing a reference letter for Jillian and Nicholas who are offering their services to provide housesitting and pet-care. I have had the pleasure of having them both look after my own property (house and gardens) and care for my dog (Sophie) here in Bowser, British Columbia. As a homeowner, I understand the need to ensure that trustworthy and responsible adults watch your premises and care for your property as though it were their own. I can honestly say that Jillian and Nicholas will absolutely care for your home and maintain it to the highest standards. When looking after my house, they maintained the necessary watering of the plants, the mowing of the lawns, and also made sure to put out the compost, garbage, and recycling, as well as collect the mail. 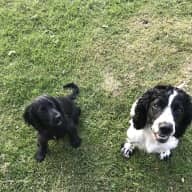 I had peace of mind knowing that these two were looking after my property, securely locking the doors at night and when away from the residence, and looking after my property as if it were their own. Jillian and Nicholas have provided my pets with loving and responsible care. This includes my two long-haired bearded collies (Barkley and Gabby) who have now both passed away as well as my current dog (Sophie) who is a Goldendoodle and I have to say the Queen of our house. Jillian and Nicholas are very comfortable with Sophie (which was very important for me) and Sophie is very comfortable with them. Sophie has a gentle temperament but when she is off-leash in the parks or on the trails she has large amounts of bursting energy and likes to chase birds and small critters. Nicholas and Jillian were both open to my concerns and were willing to work with me to meet all of Sophie’s needs. Many of my neighbours have noticed Jillian and Nicholas out and about the neighbourhood with Sophie and often commented on how lucky we were to have such a wonderful couple to care for our pets and property. I have passed on their names to some of our neighbours who have engaged them for their own caretaking services. Jillian and Nicholas are capable, reliable,responsible people who enjoy routines and like to be organized. 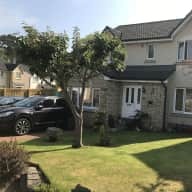 During the time they looked after my property, they kept me informed of how Sophie was feeling and behaving as well as updates on the upkeep of my garden and general property. They told me how they enjoyed the routine dog walks twice a day and were pleased to inform me of further developments in our neighbourhood. 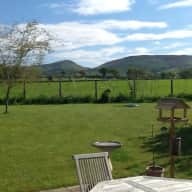 Upon my return, I found my grounds (lawn and garden) well groomed and looked after, my kitchen and living areas cleaned and spotless as well as Sophie relaxed and not stressed in any way. I can honestly say the Jillian and Nicholas far exceed any expectations I had of a pet caregiver and house sitter. You are most welcome to contact me via email for more information about their capabilites.